Many more communities across Herts and Bucks are set to benefit from the roll-out of superfast broadband – thanks to high demand for the high-speed fibre technology by local households and businesses. More than 40 per cent of customers across the two counties have already opted to sign up to services rolled out by the partnership, triggering a ‘Gainshare’ award under the terms of the contract with BT which is now being used to extend the fibre roll-out further. The extension will lead to more than 7,700 premises being able to order faster fibre broadband, with around 6,000 premises which will be able to achieve superfast speeds of more than 24Mbps. The extension is planned to run until December 2019. Details of the new areas being added will become available during the programme at www.connectedcounties.org as the programme progresses, or you can email info@connectedcounties.org for more information about your area. Demand for high-speed fibre broadband soars with Connected Counties. More people in Buckinghamshire and Hertfordshire are signing-up for high-speed fibre broadband than ever before thanks to the work of the Connected Counties programme. Connected Counties is a multi-million pound partnership between Buckinghamshire and Hertfordshire Local Authorities, BDUK, Local Enterprise Partnerships and BT. The programme has made fibre-optic broadband technology available to more than 64,000 homes and businesses across the two counties and will continue to deliver next generation broadband access over the next two years. Figures announced recently show a growing number of homes and businesses using the faster connections in Bucks and Herts. For Connected Counties contract 1, broadband take up figures have doubled in the last 18 months and currently stand at more than 40%. That’s double the amount of homes and businesses that have now ordered an improved broadband service. The Connected Counties team has re-launched the Connected Counties website at www.connectedcounties.org.uk . We have worked closely with BT to streamline and improve the information available to residents and businesses in Bucks and Herts about the ongoing rollout of Broadband across the two counties. The new website has been designed to make it easier to find information about areas which have already formed part of the part of the rollout, and those areas which will be included in future phases. The site is intended to be more user friendly on a range of devices (smartphone/tablet/PC) to ensure it suits the needs of the widest possible audience. Is your area fibre enabled already? We are working hard to continue rolling out Superfast broadband across the two counties. Businesses with fewer than 250 employees can access grants of up to £5,000 to help them improve energy efficiency. Visit www.lowcarbonworkspaces.co.uk to express an interest in a grant. Thousands of Hertfordshire residents are already signed up to receive email updates from the county council and you can too. There are a range of topics on offer and you can choose to receive updates about the services and issues that matter the most to you. The new service is free and easy to use, and there is no limit to the number of topics you can sign up to. Topics include Highways, Libraries, Walking and much more. 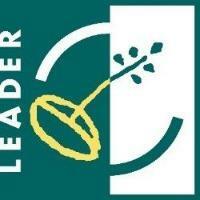 LEADER grants of between £5,000 – £100,000 are available to support business growth in rural areas. 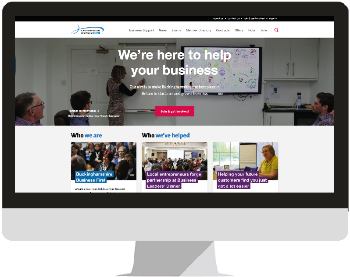 Buckinghamshire Business First is the Business Growth Hub for the county and provides the project management for the Connected Counties programme in Buckinghamshire. Are you having issues getting fibre broadband to your community? Advice on initial feasibility, how to form a community group, decide the best solution as well as legal, technology and funding issues can be found here.